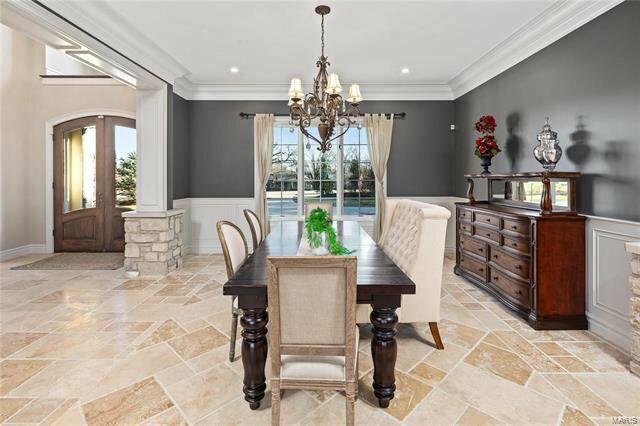 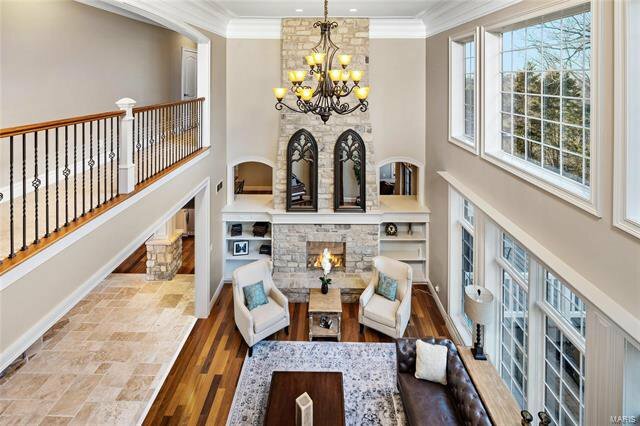 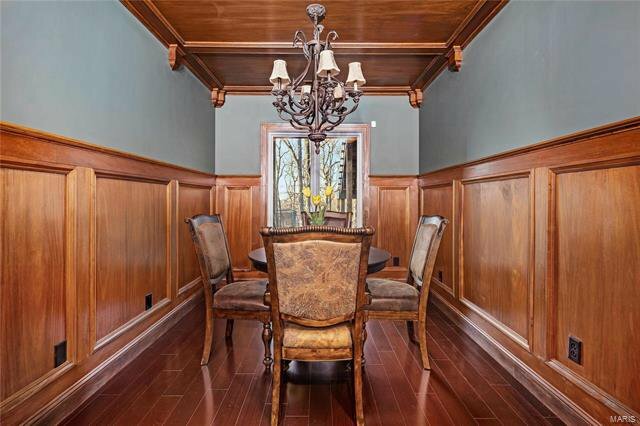 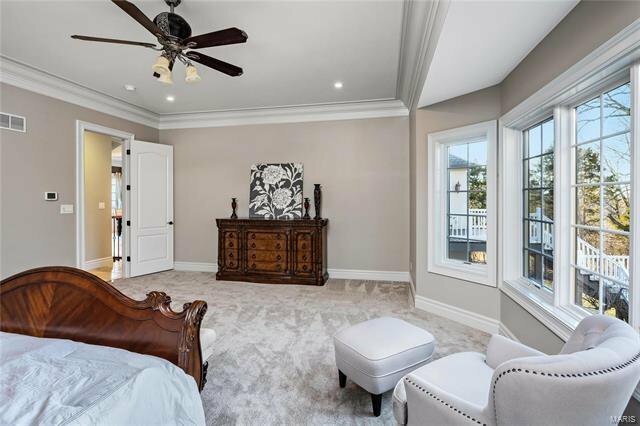 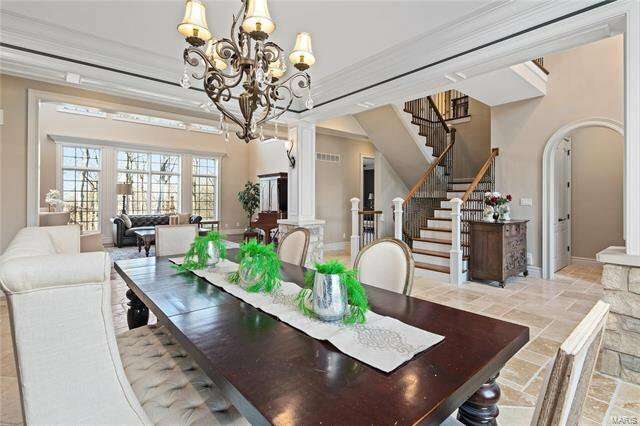 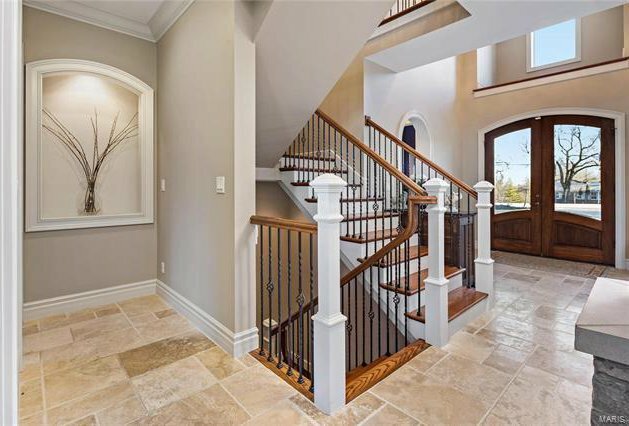 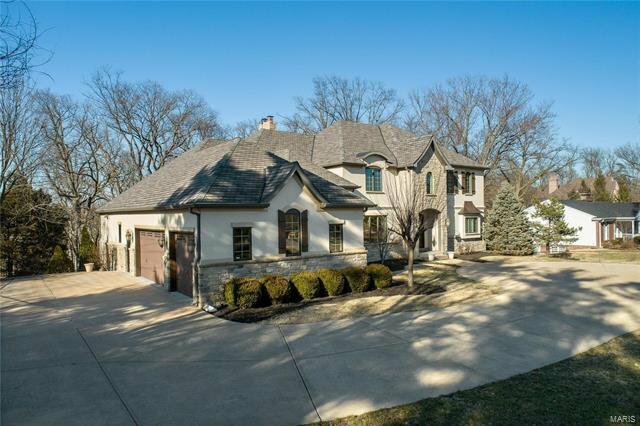 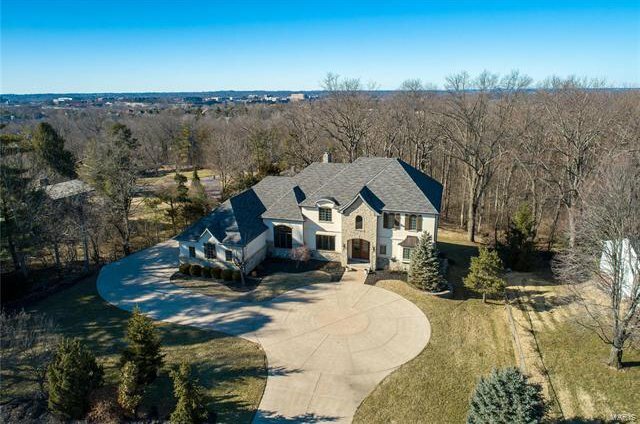 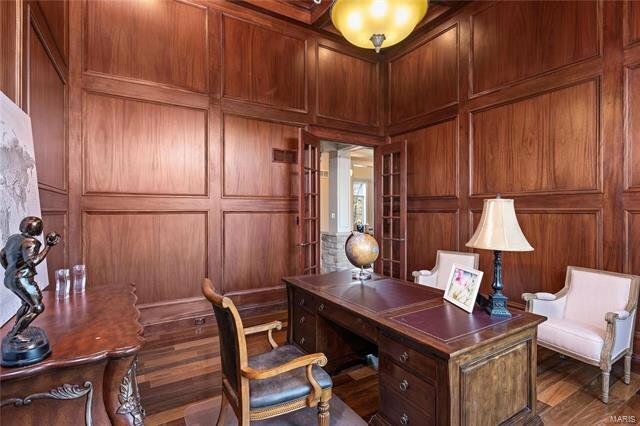 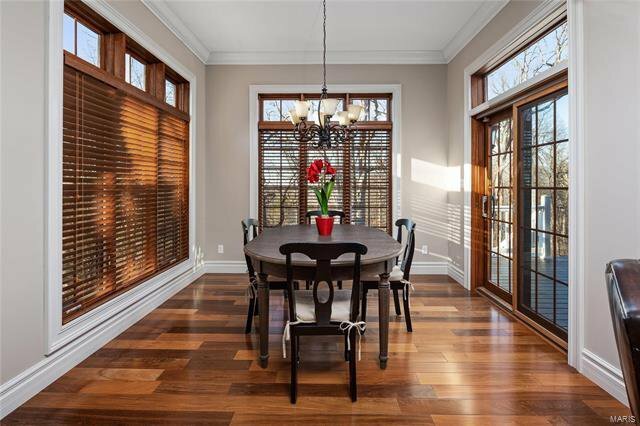 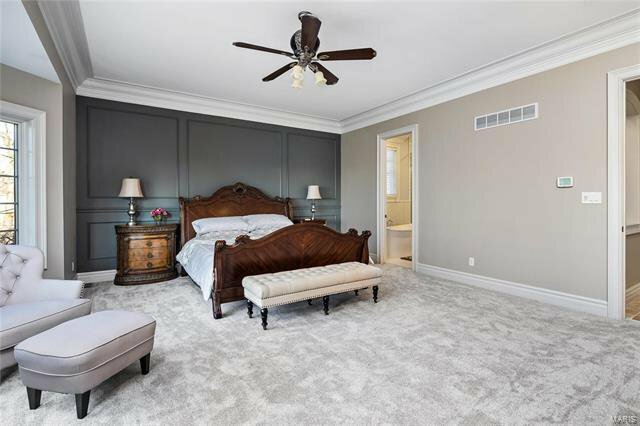 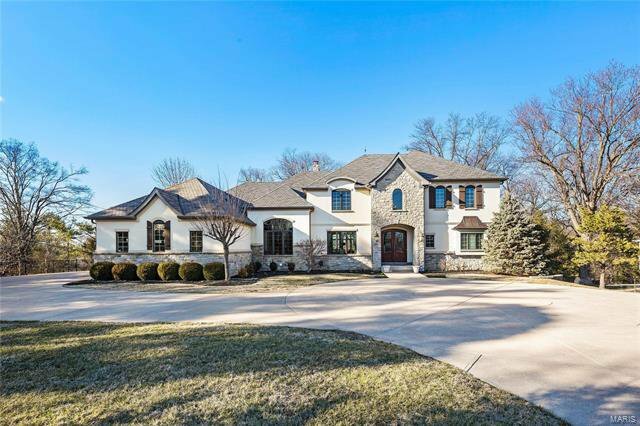 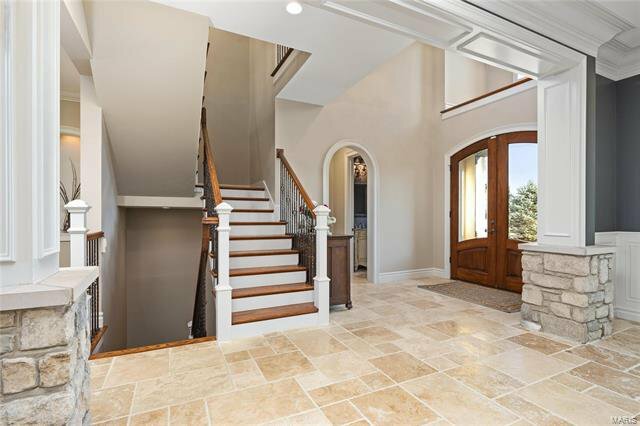 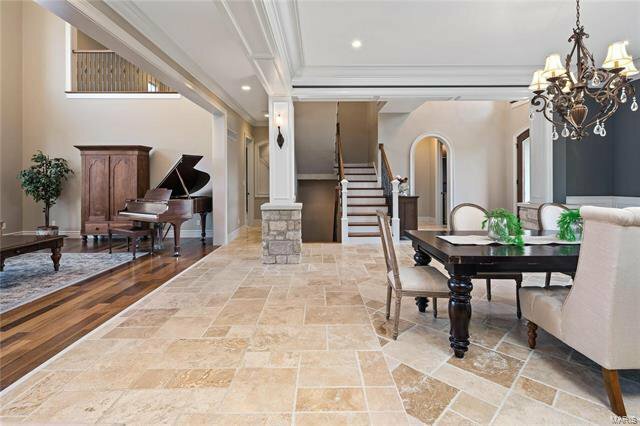 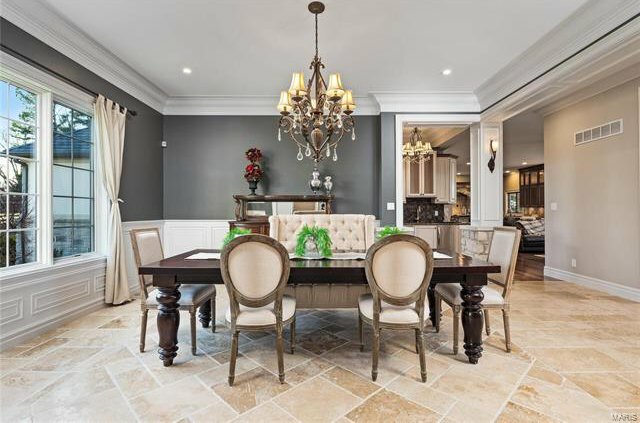 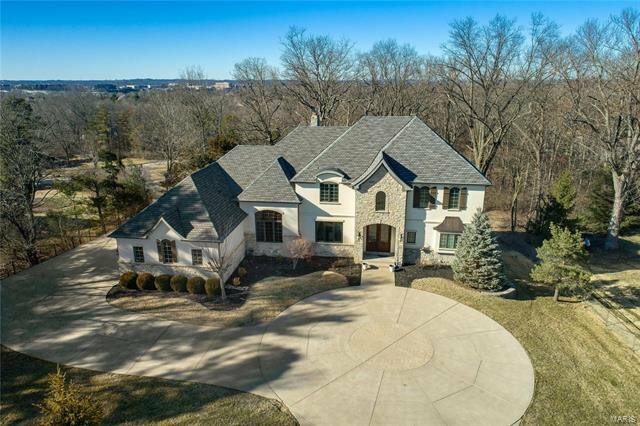 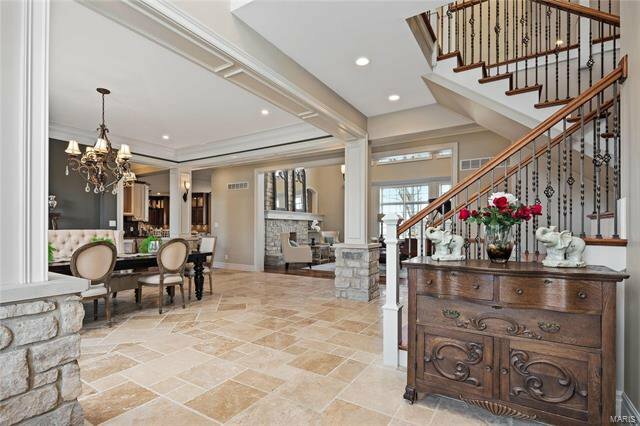 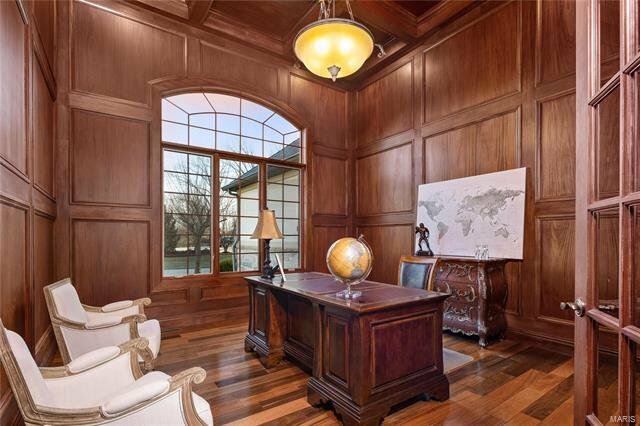 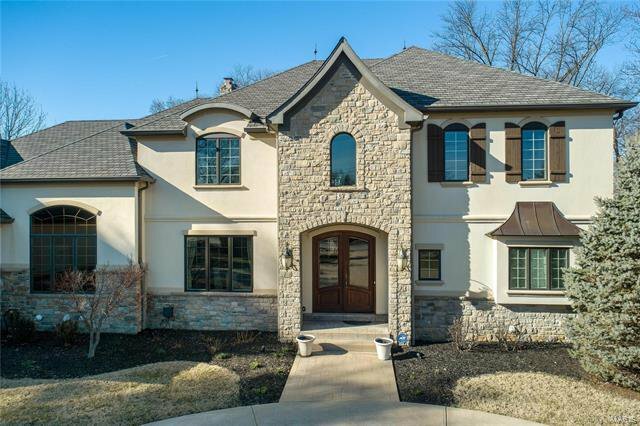 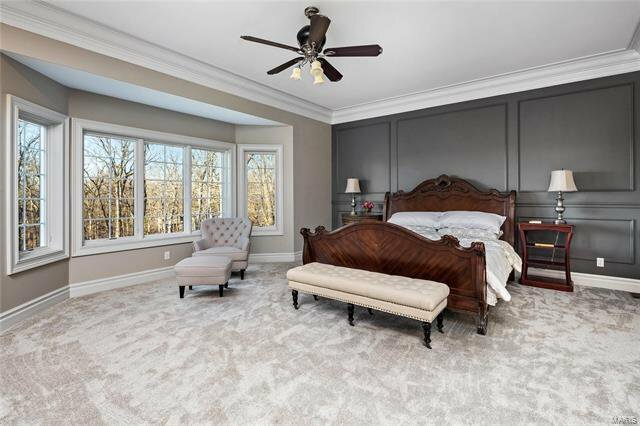 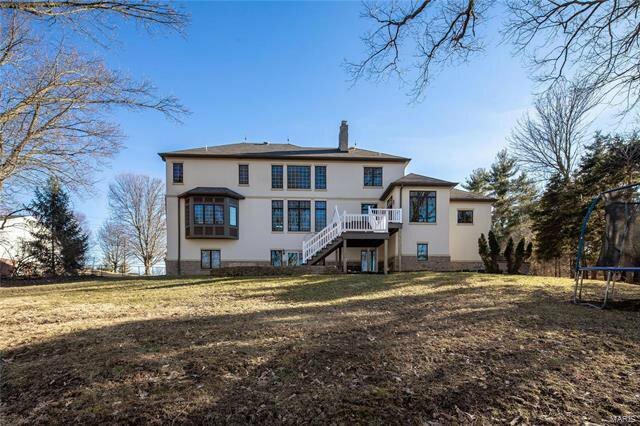 Completed in 2006, this French inspired masterpiece is defined by custom finishes and exquisite millwork - box beams, extensive crown molding, paneling, built-ins and arched openings. 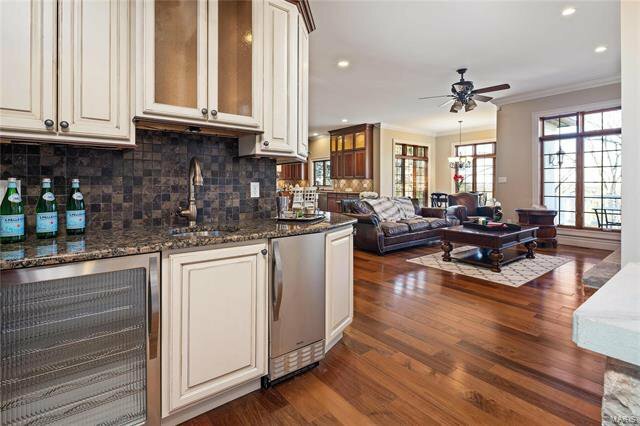 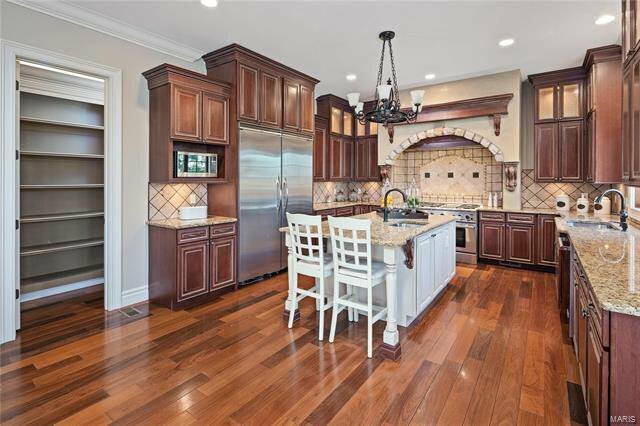 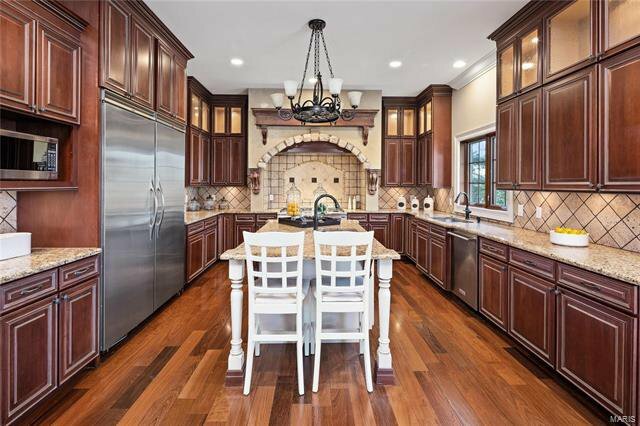 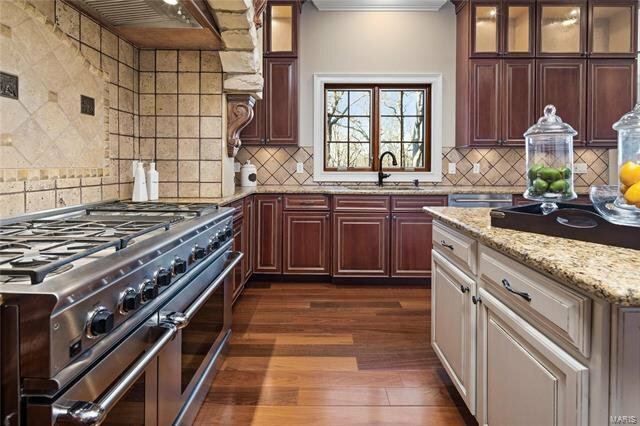 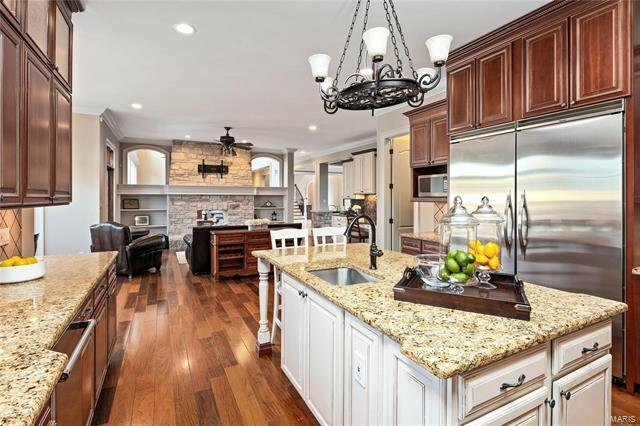 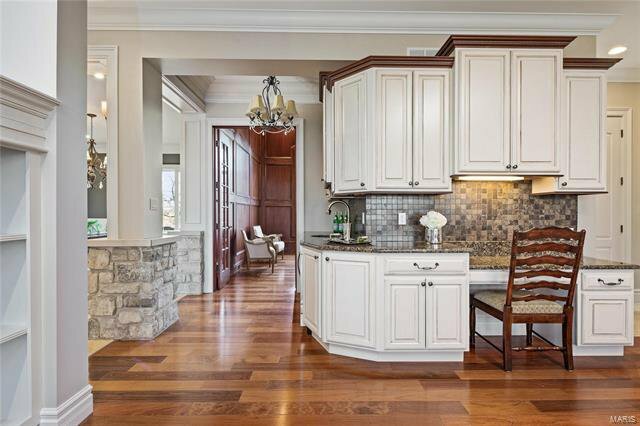 Chef's kitchen equipped with professional appliances, commercial style hood, premium granite counter tops, butler's pantry & separate walk-in, over-sized center island, and custom cabinets w/ full extension soft close drawers and layered crown molding. 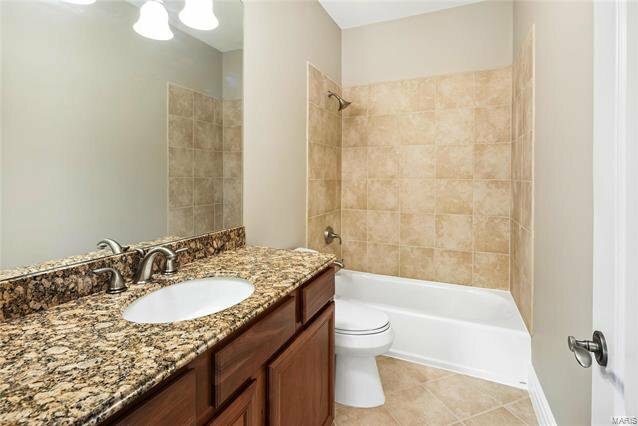 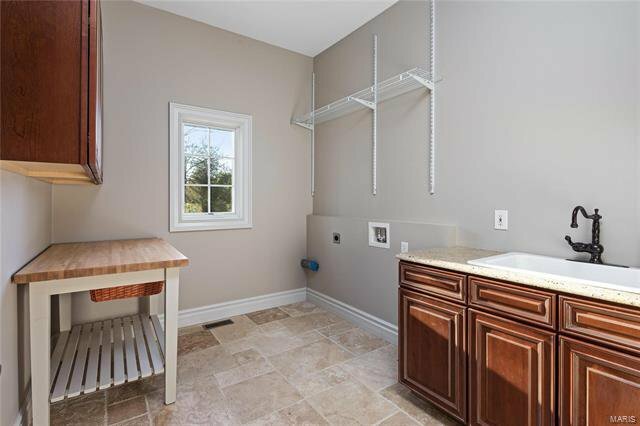 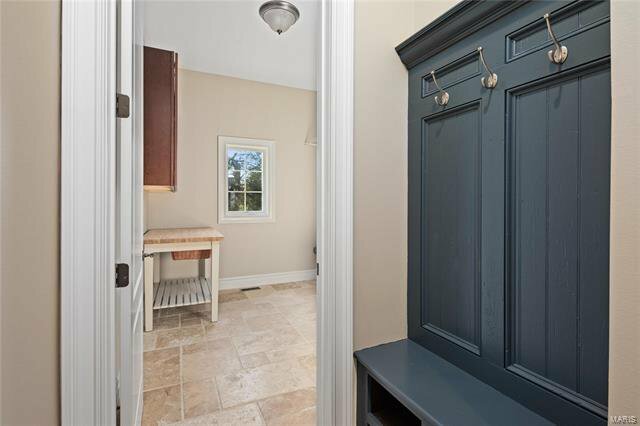 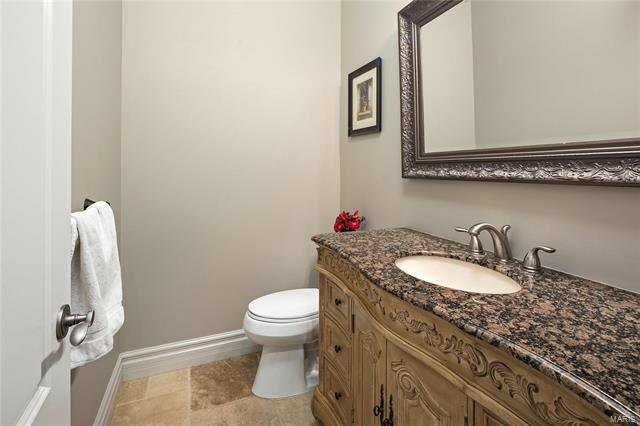 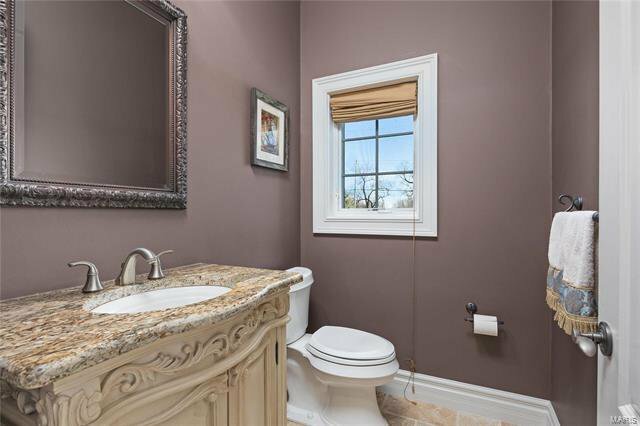 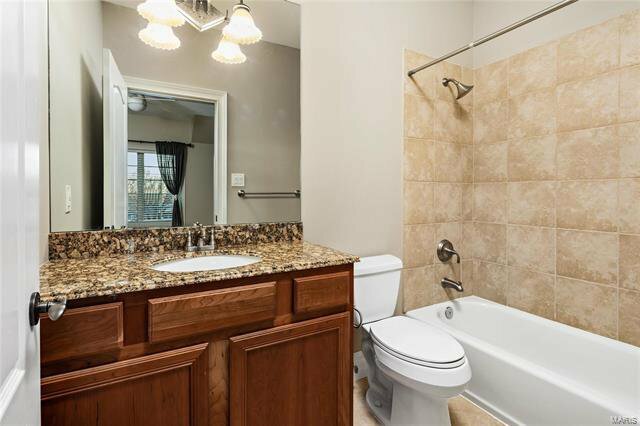 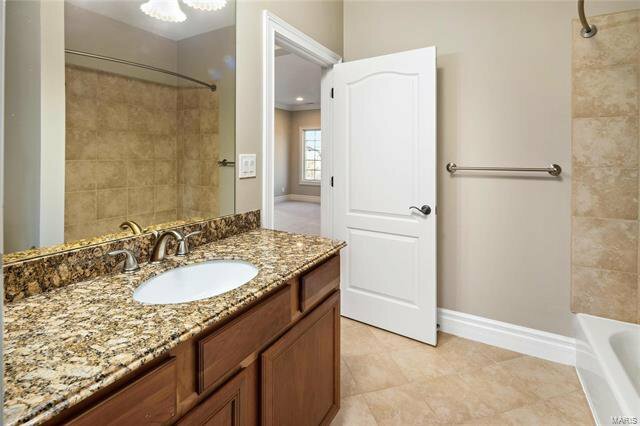 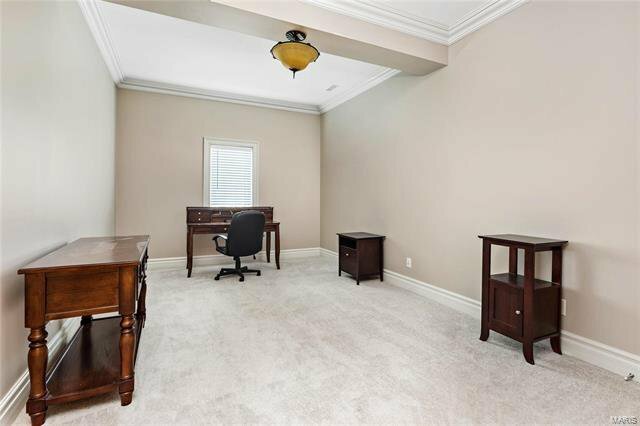 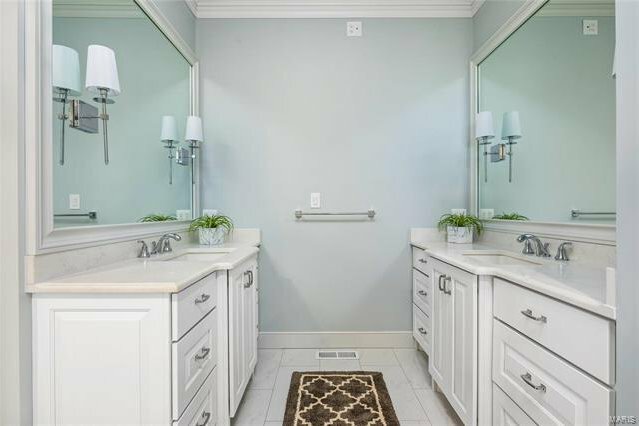 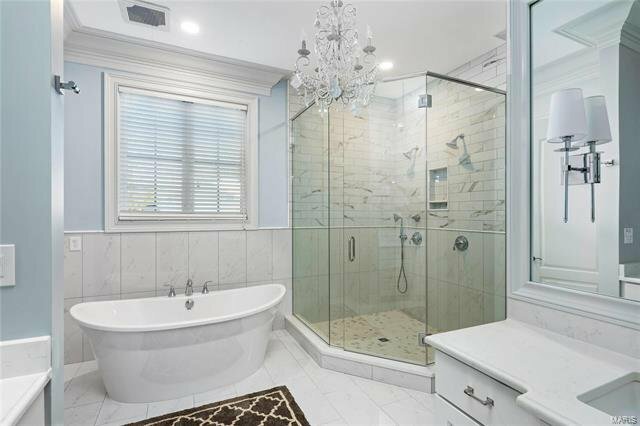 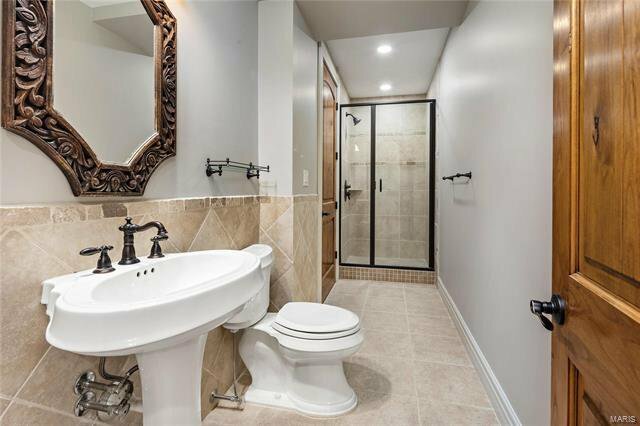 Mstr suite w/ luxury bath & expansive closet. 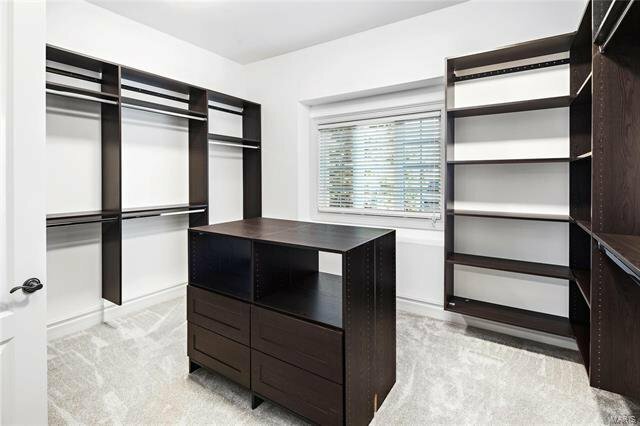 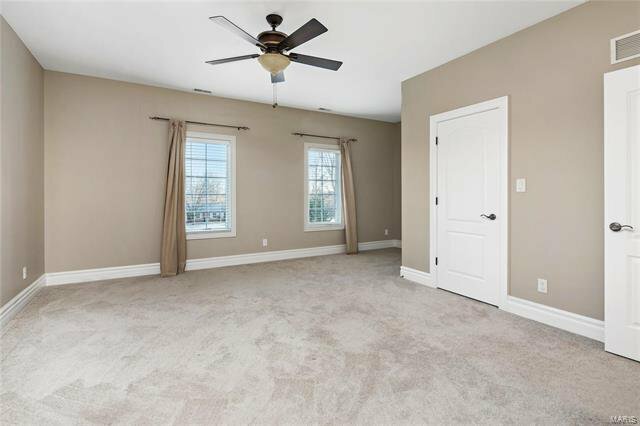 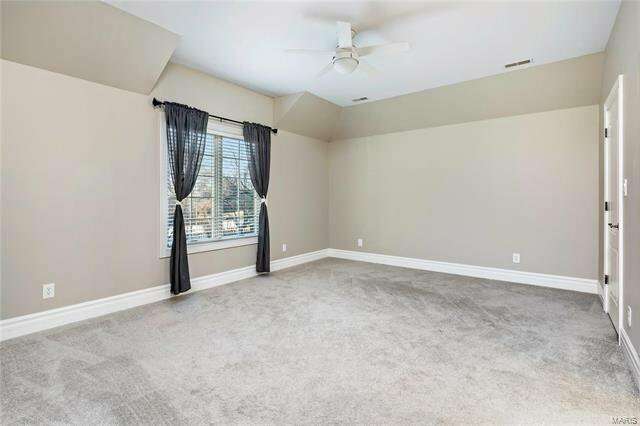 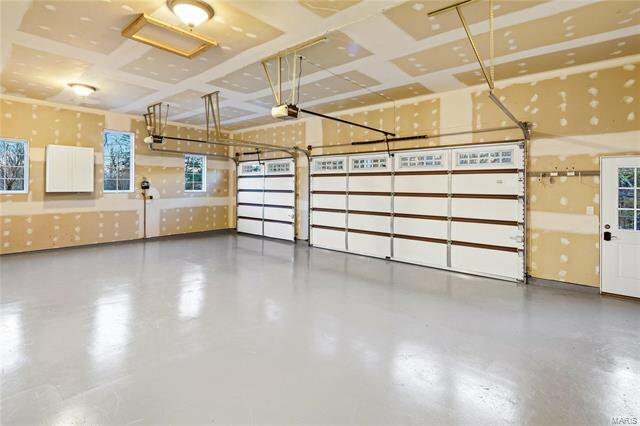 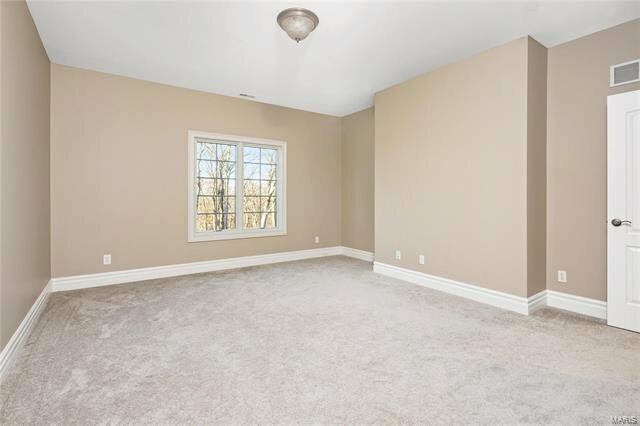 2nd Floor includes 9' ceilings, plush carpet, loft and 3 spacious BR's - each w/ bath & walk-in closet-complete with custom laminate shelving. 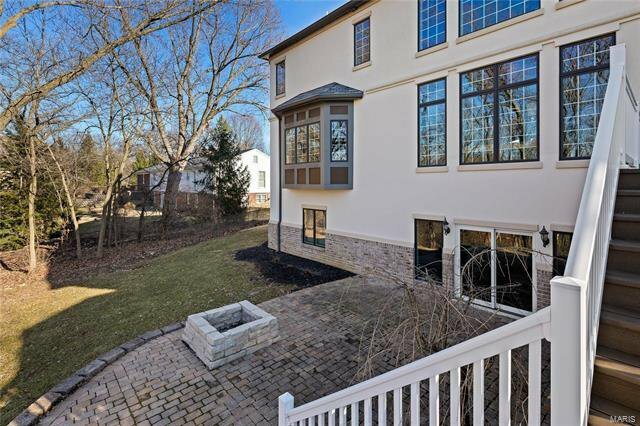 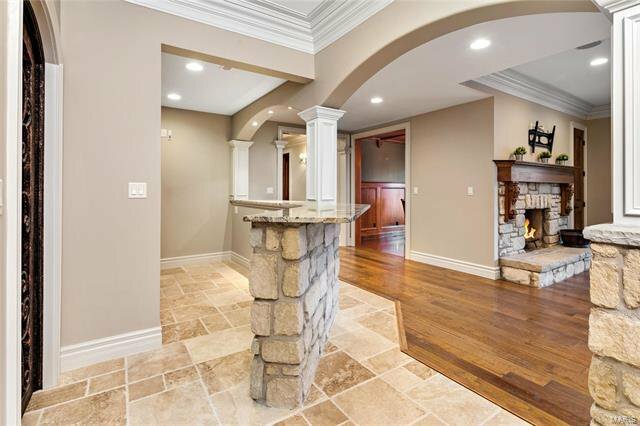 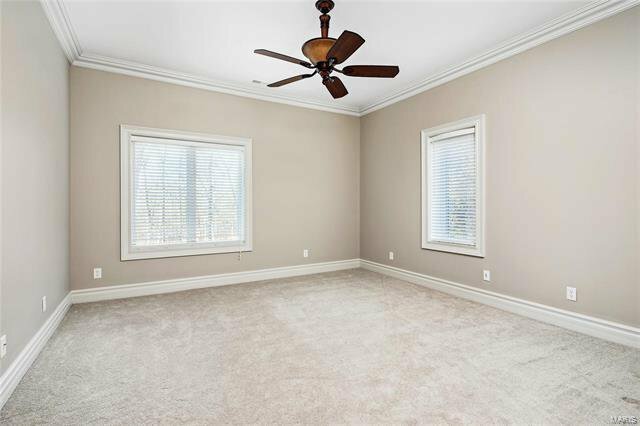 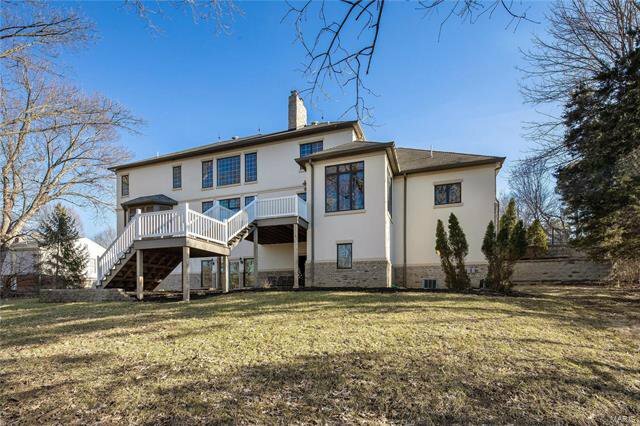 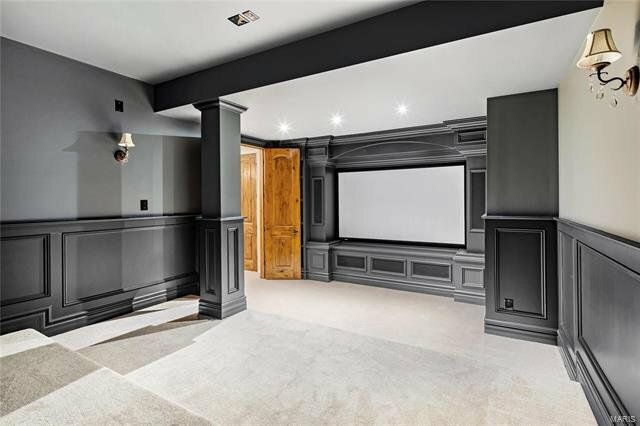 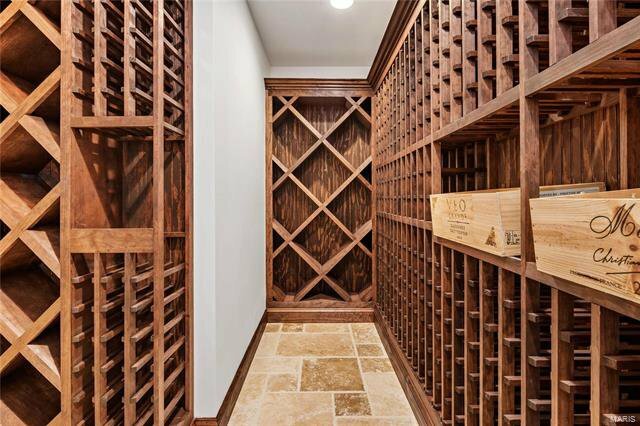 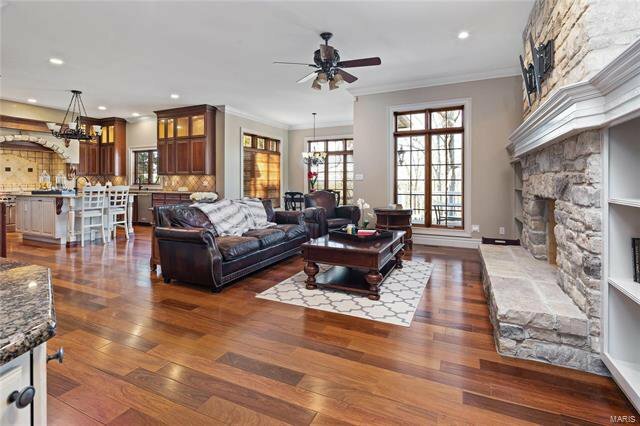 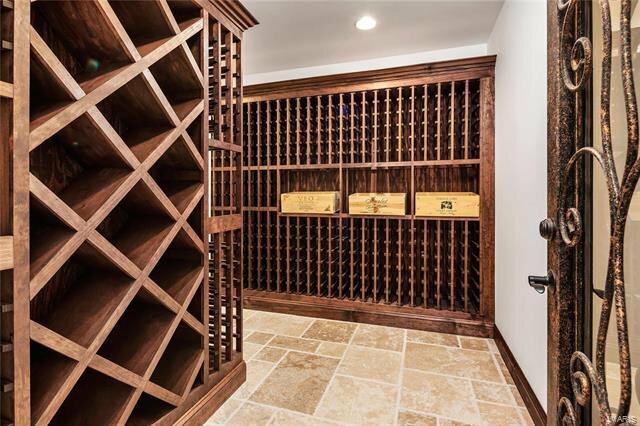 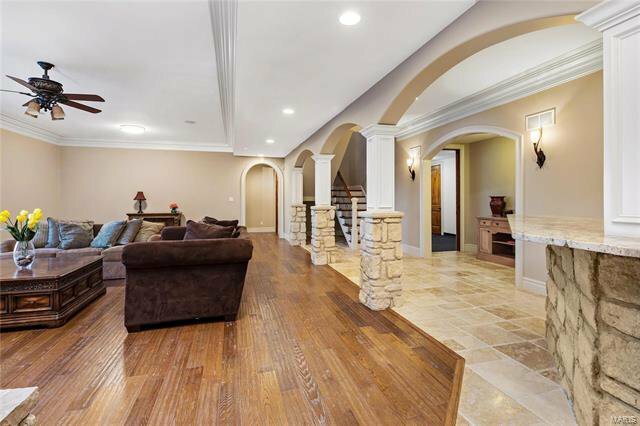 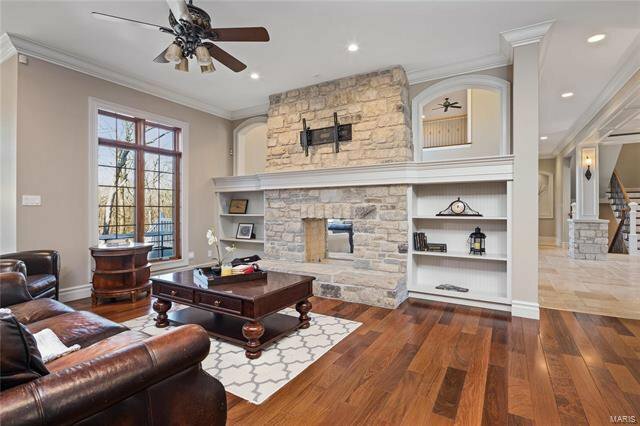 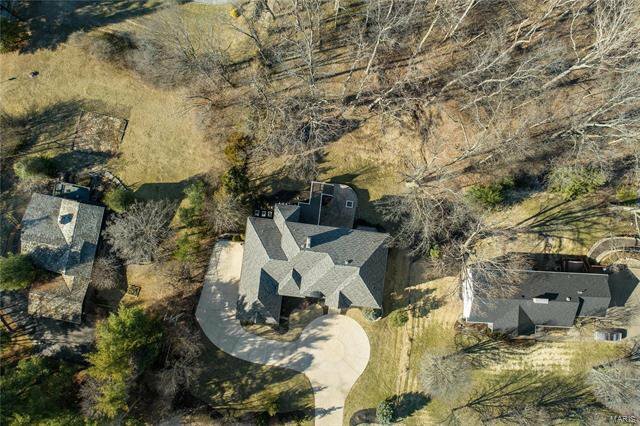 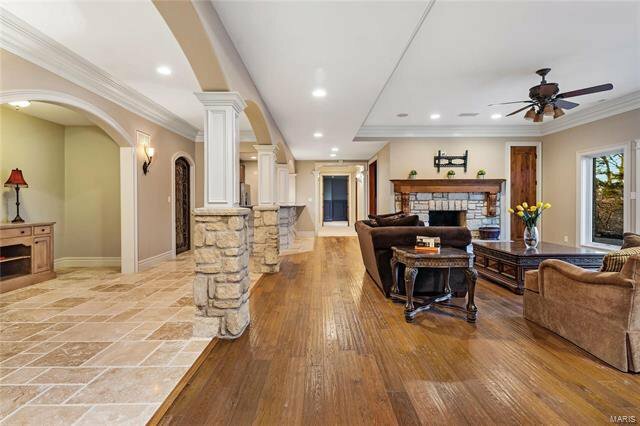 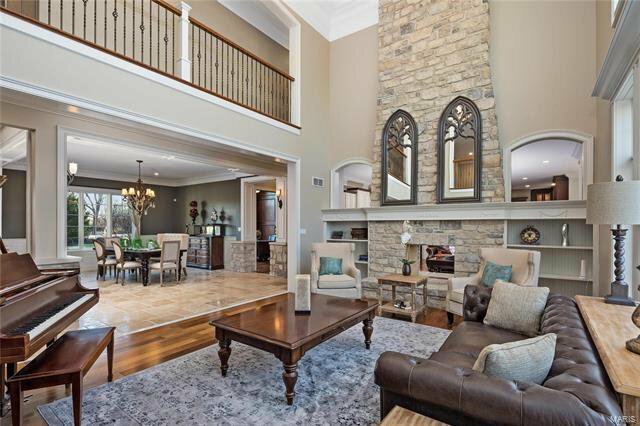 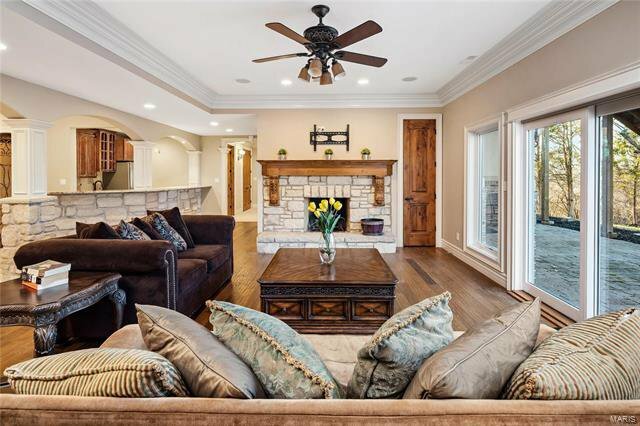 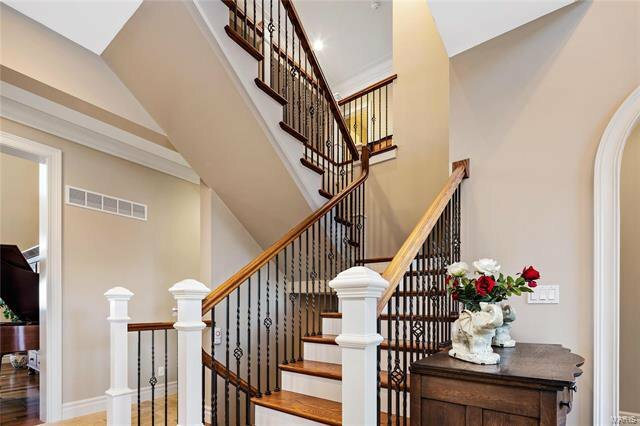 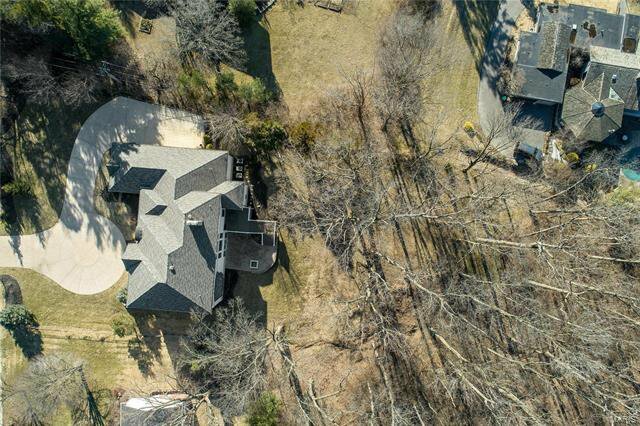 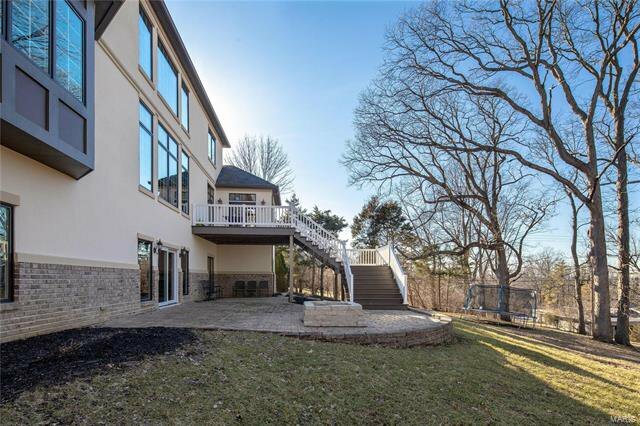 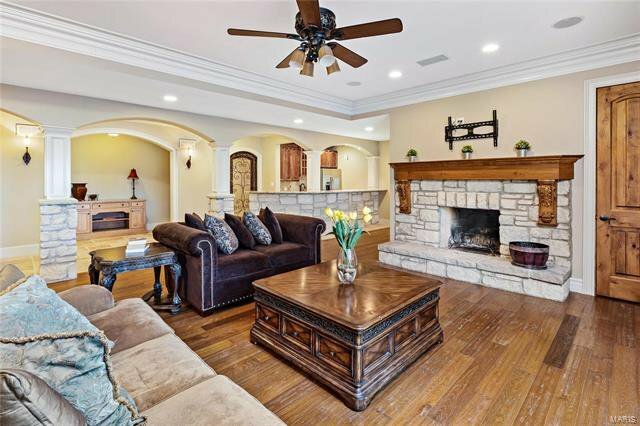 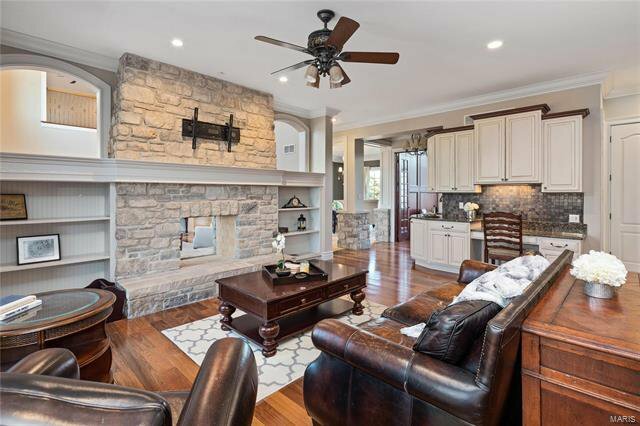 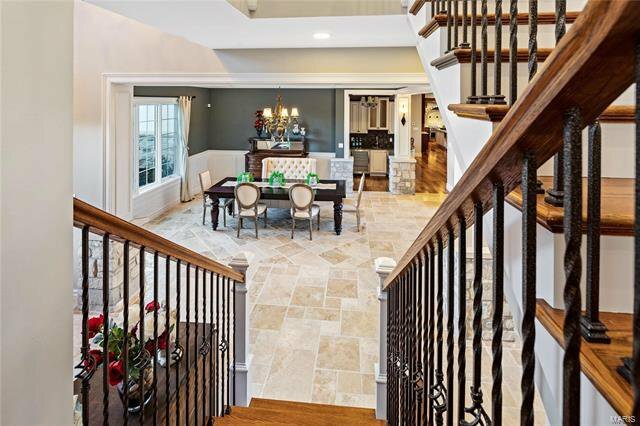 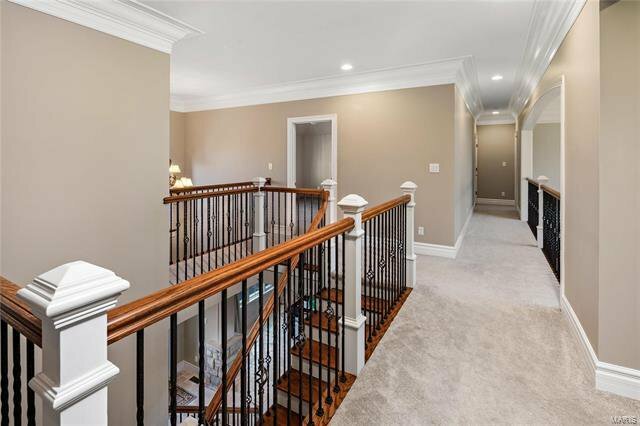 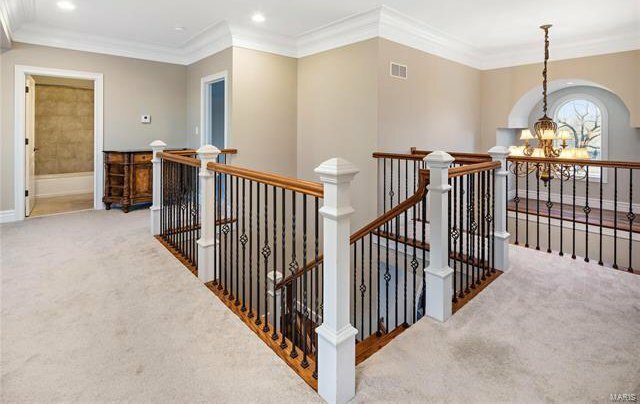 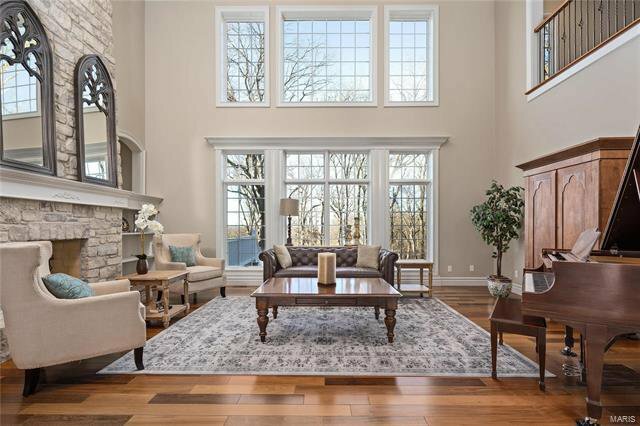 Spectacular lower level features 2 bedrooms, wine cellar, exercise room, cedar closet, theater, wet bar, separate dining, family room with wood burning fireplace and patio access. 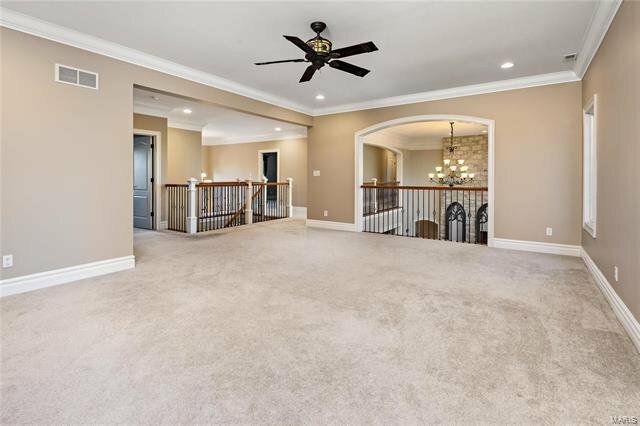 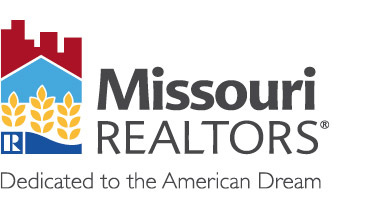 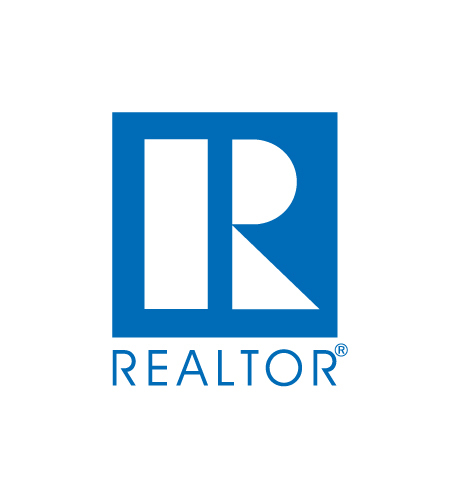 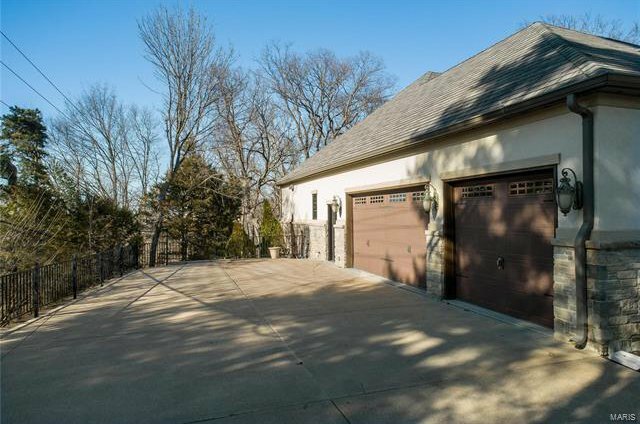 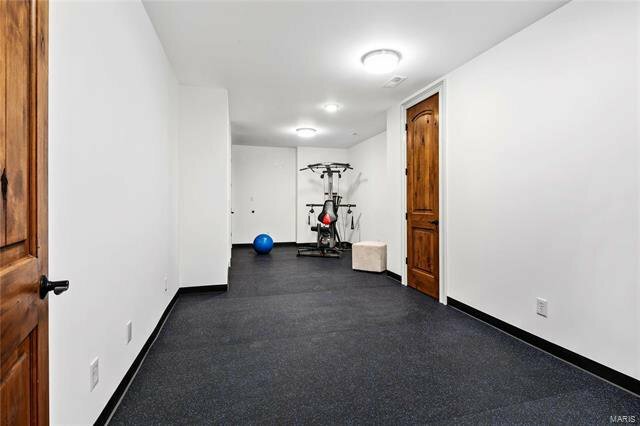 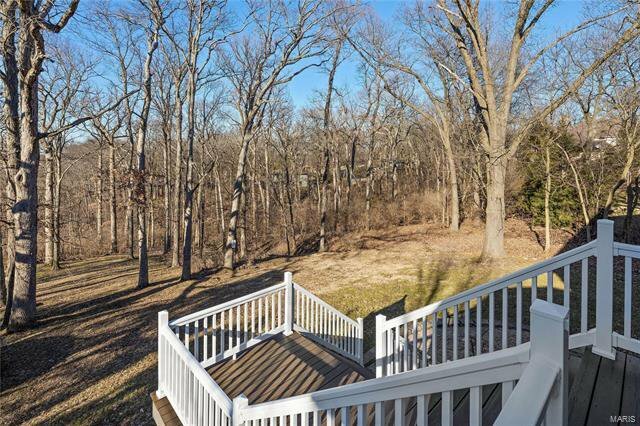 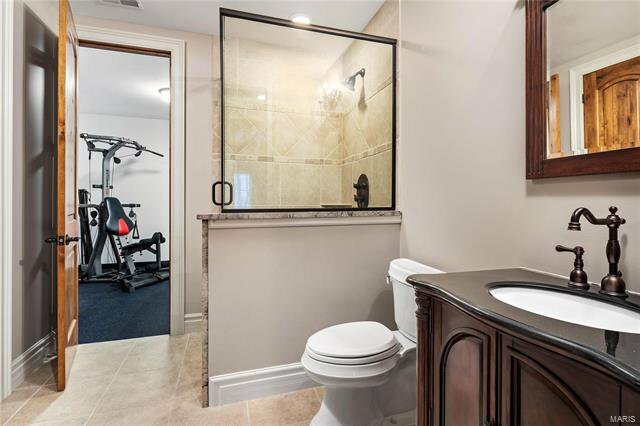 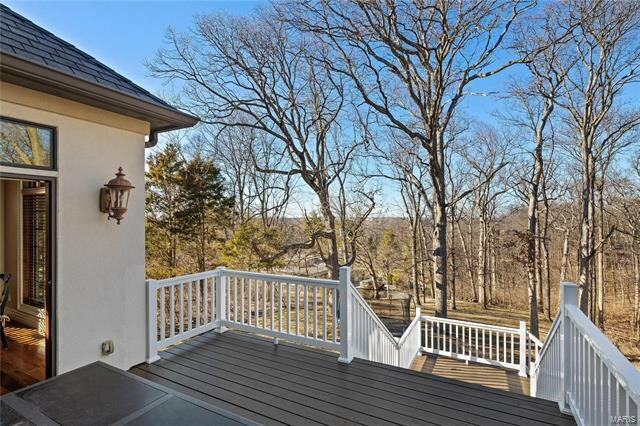 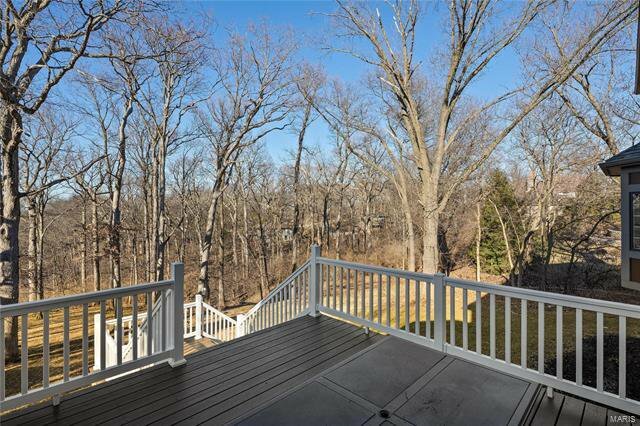 Its proximity to upscale shopping, fine dining, prestigious schools, parks, walking trails, major highways and hospitals make it the ideal location for anyone residing in the St Louis area.